Stephen Bradley & Associates offers one-stop shopping to clients who may have wide-ranging needs. Stephen Bradley & Associates has the staff and the facilities to follow through with any size public relations or public affairs program. We can implement public information campaigns – including advertising programs – as well as plan them. Of course, Stephen Bradley & Associates is also quite willing to cooperate with any client’s own advertising or public relations firm. Based on practical experience in corporate and association work, Stephen Bradley & Associates offers clients expert counseling in responding to media inquiries, communicating a specific message, and structuring media campaigns, as well as advice in designing programs to gain hard news coverage and editorial support. Often during a crisis time period, issues may arise that require an immediate response. 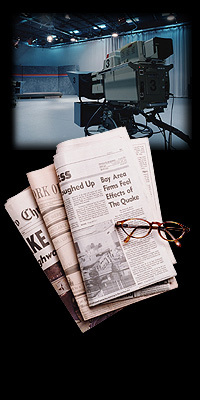 Stephen Bradley & Associates can maximize positive outcomes by providing advice and counsel designed to diffuse a media relations problem or take advantage of a media opportunity. Fire prevention is much more desirable than fire fighting. Stephen Bradley & Associates offers comprehensive planning backed by the insight that comes only with seasoning. Our experience in several senior public affairs management positions gives us unique insight into the need for realistic, forward thinking strategic planning. Any issues that fall within the purview of the Alabama State Legislature are considered legislative issues and, as such, are defined as legislative relations projects. Our firm understands how the state capitol process really works in Alabama, and can achieve effective legislative results. Managing environmental issues requires knowledge of the environmental community, the regulatory process and the media who report on such issues. Stephen Bradley & Associates understands those dynamics – and how to best manage them to achieve a desired objective. Stephen Bradley & Associates defines governmental relations as issues-oriented projects that do not deal directly with the state legislature. Frequently, issues before local, county or state departments or regulatory agencies fall within this category. We have considerable expertise in the management of issues at the local, county or state regulatory level. In today’s world, if it isn’t available on the Internet, it doesn’t exist at all for an ever-increasing segment of the population. Our firm can build advocacy and other websites and deploy them on very short timeframes, so your message gets out in the digital realm and ranks highly on Google and other search engines. We can also manage your social media, Internet marketing, research, traditional advertising and online monitoring of your brand and any opposition.